Good ol' clear decor....it's been around since the swinging 60s, and still looks fresh and modern. After googling my way through lucite land, I began to realize that lucite ain't cheap! One great trick is to look for acrylic instead of lucite - it looks oh so similar, and the price tag is a fraction of the price. Whether you choose dapper lucite, its wannabe sister acrylic, or its jealous cousin plastic, you really can't go wrong. 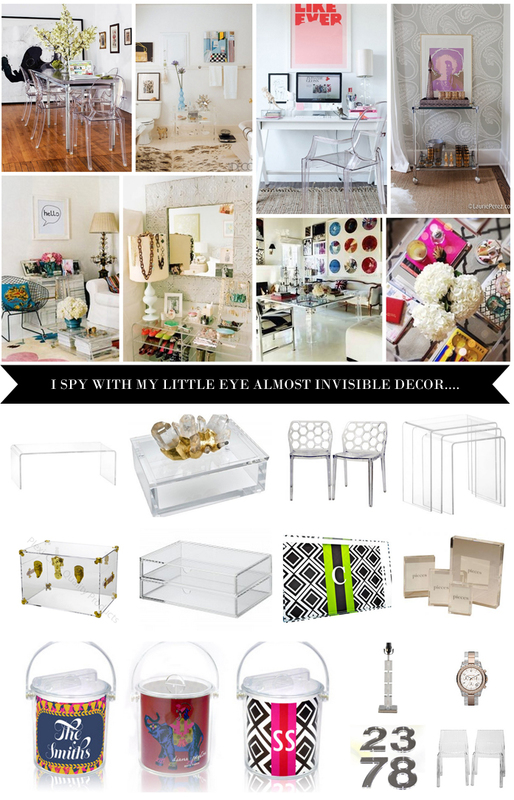 love the lucite- such a great way to organize tight spaces. I'm a sucker for lucite, big time! Love the watch, checking it out! Love this post! I really wanted to make one of those clear lucite clutches but it seems so hard! I'd probably get too impatient and just crack it all in half. I guess the only thing left to do is to buy!